The Chief Minister of the Australian Capital Territory (ACT), Andrew Barr, has pitched in on the rollout of the National Broadband Network (NBN), suggesting that, in its current form, it will not meet the future needs of the territory. In a submission to the Joint Standing Committee on the National Broadband Network, which is carrying out an inquiry aimed at assessing the progress and effectiveness of the NBN rollout, Barr claimed the network’s rollout is not only slow and poorly targeted, but also attacked the government’s multi-technology mix (MTM) approach. This is despite claims by the company behind the network’s rollout, nbn, and the Federal Government that the network rollout has picked up pace and is being made available to more premises in more areas than in previous years. According to the submission, the ACT Government recommends the use of Fibre-to-the-Premises (FTTP) NBN infrastructure, saying that it is considered faster and more reliable than the Fibre-to-the-Node (FTTN) model, which currently makes up a large portion of connections under the current government’s preferred MTM approach. The MTM approach is a departure from the previous Labor Government’s predominantly FTTP approach to the NBN, which was overturned when former Prime Minister, Tony Abbott, led the Liberal/National coalition to power in 2013. Abbott brought with him a new strategy for the NBN rollout, which would include a number of infrastructure technologies aimed at reducing the costs and time involved with the project. According to Barr – a member of the Australian Labor Party – this approach will not meet Canberra’s connectivity needs going forward. “The current FTTN infrastructure model will not deliver a sufficient platform for future economic development and expansion, and I urge the Government to reconsider the value of investing in substandard infrastructure,” Barr said. Barr’s submission goes on to suggest that the “slow pace” of the rollout in the ACT is resulting in a rising degree of frustration from Canberra businesses and residents alike. “Due to the consequences of the current NBN prioritisation, areas of the ACT with very poor internet connections, particularly in the south, are yet to appear on NBN rollout schedule, and are unlikely to be connected to the NBN before 2020,” the submission stated. Barr’s comments come almost two months after nbn and the government touted a major milestone in the network’s rollout, notching up four million premises that were ready for service, as of the week ending 2 February. “The accelerating speed of the rollout is thanks to a multi-technology approach. 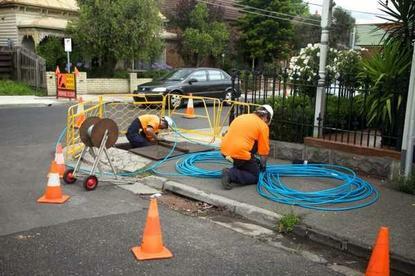 Prior to adopting this approach it took nbn three years to connect just 51,000 premises and the rollout was years behind schedule,” Minister for Communications, Mitch Fifield, said at the time. Just days ago, the Department of Communications released extensive NBN rollout update documents in response to a Freedom of Information request. The documents, coming to more than 450 pages, highlighted a move by nbn to connect more than 4000 premises in urban areas to the network via the Sky Muster satellite system – an interesting figure given that the Sky Muster system has so far been aimed at providing connection for remote or regional areas.